Comhairle na nÓg is the Youth Council of Ireland. There is a Comhairle in every local authority in Ireland, in other words wherever there is a County/City Council there is a Comhairle na nÓg to represent the views and voices of young people in that community. I have been fortunate enough to be part of Comhairle since I was elected in Transition Year. Comhairle has afforded me so many wonderful opportunities, introducing me to interesting people, giving me the chance to put across the views of young people and increasing my own self awareness and knowledge of my own county and its people. During my time on Comhairle I have visited the Dáil, Stormont, and most recently the European Parliament. 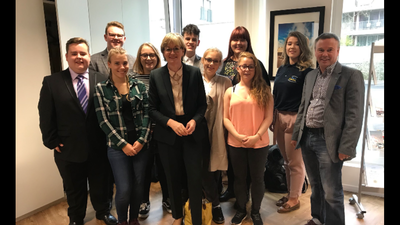 One of the main advantages of Comhairle as a national group is that it has the ear of decision makers from the Local, National and European levels and I have always enjoyed meeting and speaking with politicians who want to listen and working with them to make a difference for young people. 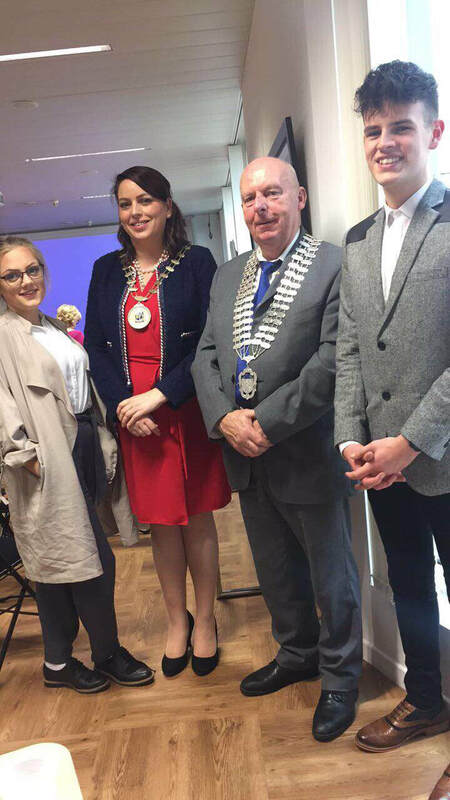 Comhairle members literally have to make their voices heard and so I gained my fair share of public speaking experience, from addressing Cavan County Councillors in the chamber, speaking at our Annual General Meeting and at various events like the Creative Ireland Programme, Claire Byrne Live, and on radio. Basically wherever someone will listen I’ll talk away!! Comhairle members represent young people on various boards, committees and groups making sure that young people are always involved in the conversation, for example I sit on the Cavan PPN, the Comhairle steering group and I have worked with a number of different youth groups in Cavan on the establishment of an LGBTI+ service/group for the county which will be the first of its kind in the county and other members sit on the Children and Young People Services Committee (CYPSC), as well as various other community groups. We’ve also been involved in helping out at the Cavan Colour Run and other Mental health awareness campaigns. During the summer we organised and held the first Comhairle Pop Up Ghaeltacht, trying to bring Irish out of the classroom and the Ghaeltacht regions and bring it to Cavan where we wanted to encourage the use of our national language. 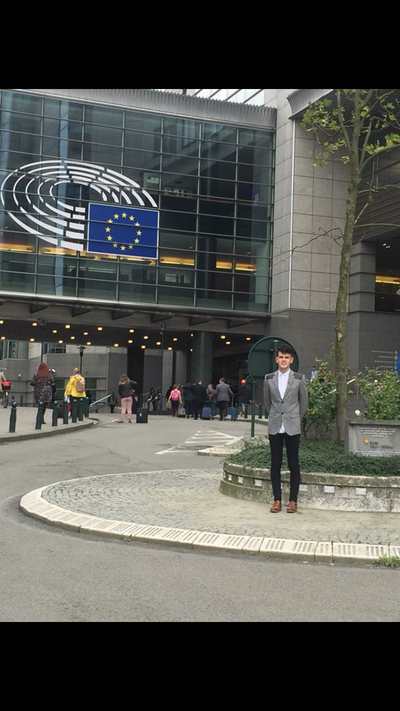 Probably the highlight of my Comhairle career was my recent trip to the European Parliament in Brussels in October. The North South Youth Council Network, funded by the Department of Foreign Affairs under the Reconciliation Fund, involved youth councils (from the north of Ireland) Newry, Dungannon and Armagh and Comhairlí na nÓg (from the south) Louth, Monaghan and Cavan produced a report on the impact of Brexit which focused on the main points of transport, funding, education, employment and peace-building. This report was done by several representatives from each Youth Council/Group over a number of meetings. The report was presented to various politicians north and south of the border. 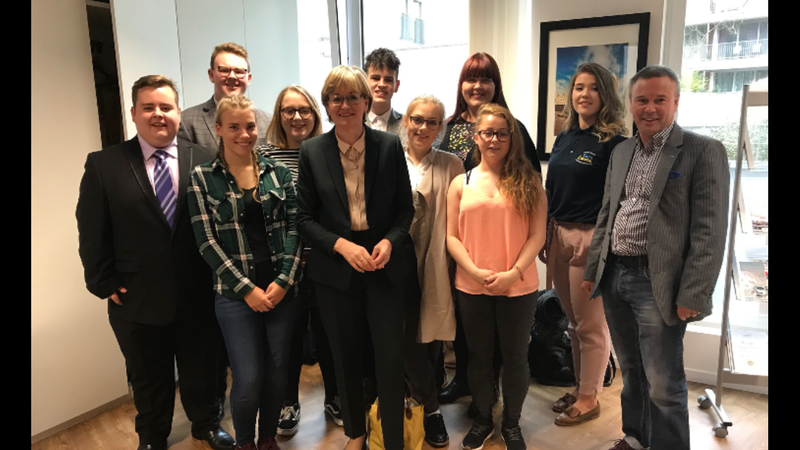 Most notably Vice President of the European Parliament Mairead McGuinness who was very impressed and kindly invited delegates of the North South Youth Council Network to Brussels to attend high level meetings in the European Parliament. I was proud to be chosen as the representative of Cavan and one of the four from the Republic of Ireland. The entire adventure was incredible from start to finish. Our first stop was the launch of the Brexit and the Border Corridor report at the Northern Ireland Executive Office, Brussels. Commissioned by the eleven border corridor councils it gives an overview of the potential impact of Brexit on the border corridor with an emphasis on the economic impact. There I bumped into some familiar faces - Cathaoirleach Paddy McDonald and Chief Executive of Cavan County Council Tommy Ryan. It was interesting to discuss the possible effects of Brexit on Cavan and what could be done to try and protect our interests. After that we walked over to the European Parliament building and had lunch there. 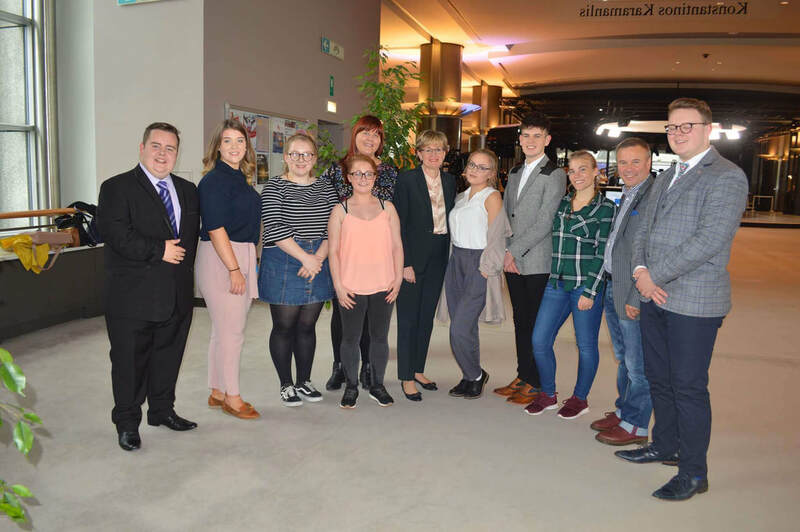 Soon thereafter we got a tour of the building and that evening held meetings with Irish MEPs hearing about how Brexit is being dealt with in Brussels and putting across our individual views as young people and the fears we had for our own areas. We also attended a European Parliament Committee hearing on the Future of Europe which Mairead McGuinness addressed even mentioning us and asking us to stand up infront of all the other MEPs and we received a round of applause. The entire experience was an incredible honour, meeting such interesting people, learning new things and getting to experience such a beautiful and culturally rich city, it is definitely something I will remember forever.